CJ2. 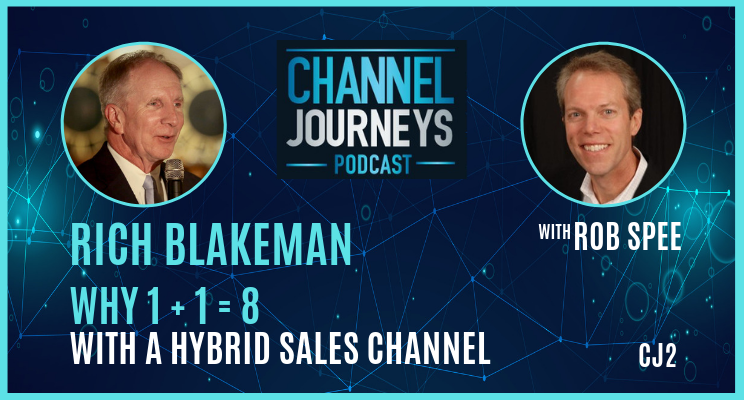 Our first episode of 2019 features Rich Blakeman, a channel chief, consultant, and author of The Hybrid Sales Channel. Rich explains why direct sales reps are often so hesitant to work with partners. 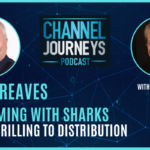 Then he lays out how you can overcome channel conflict through a hybrid sales approach. By doing so, you maximize the talents and strengths of both your company’s sales reps and your partners so that one plus one can equal eight. As you’ll learn from Rich, his approach is all about the customer, where all good sales strategies should begin. [3:00] Rich’s favorites outside the channel: scuba diving, cycling, and skiing (see photo above of Rich’s early cycling days). [5:00] Rich’s first job out of college was a different calling; as a Methodist preacher. [15:30] The hybrid sales channel is like a hybrid vehicle that has a battery, a gas engine, brakes. All are designed for a very specific purpose that don’t overlap each other at all. Apply the same principle to in sales to take advantage of the unique strengths of the vendor and the partner. [17:30] Selling is all about how the customer buys and not how you want to sell. [24:00] The partner account manager focuses on the partner, not in the weeds with transactions. Meanwhile, the direct rep and partner rep should focus on the customer. [26:00] The direct rep can act like a sales manager with a team of reps who work for the partners. [28:00] Historic seagull behavior describes why direct reps are so reluctant to let go and leverage partners, and why when acting that way they lose more often than they win. 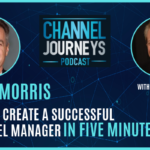 [30:00] Change doesn’t happen without executive commitment and alignment to the hybrid channel strategy. But it falls to the first line manager to make change happen.